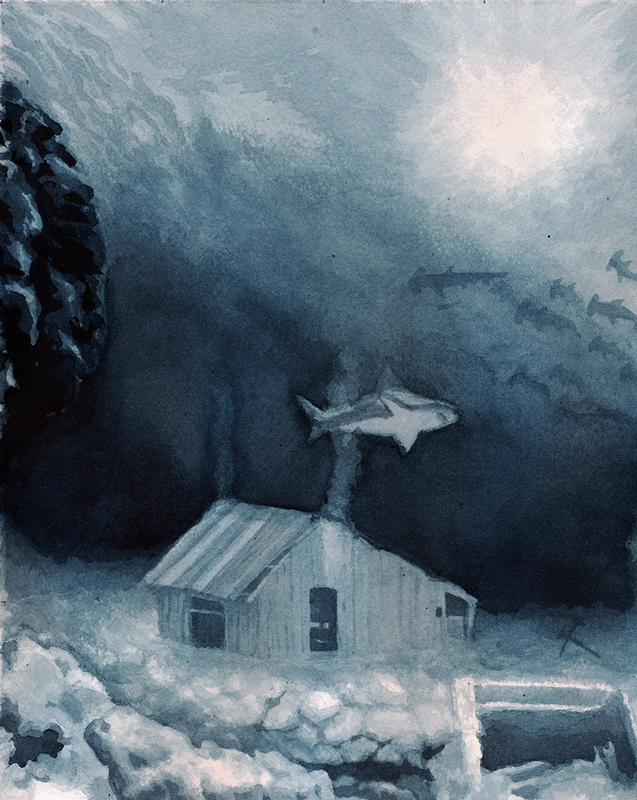 I’m looking for patrons to help bring to life my largest and most important body of work yet called “The Abandoned Series.” This series focuses on finding the light within my personal experiences of sibling rivalry, heartbreak, and loneliness, portrayed through the trials of a personified abandoned barn on a large scale in various media. The complete “Abandoned Series” will consist of 13 drawings ranging in size from 4x5ft to 8x12ft and a 3D wire sculpture. 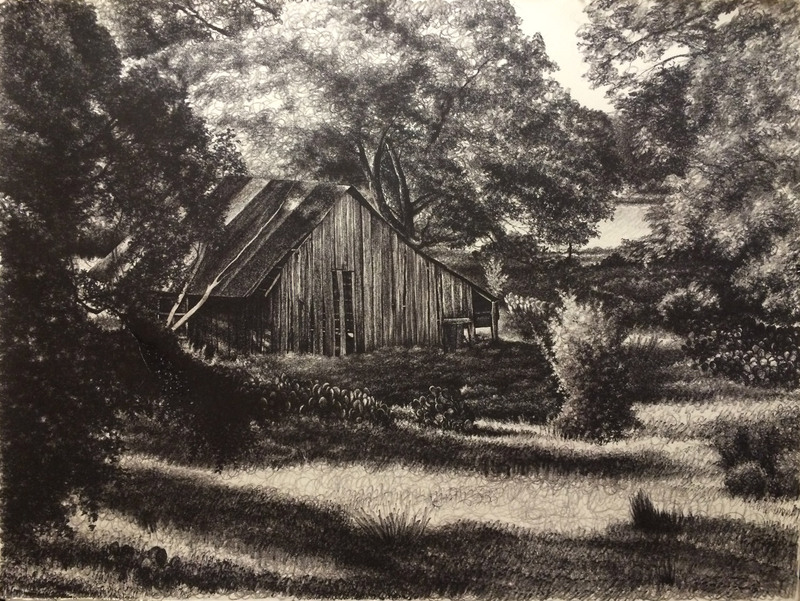 While the subject is the lonely barn, the focus is on rendering the light and making my signature circular style less photorealistic and more expressive and Impressionist. 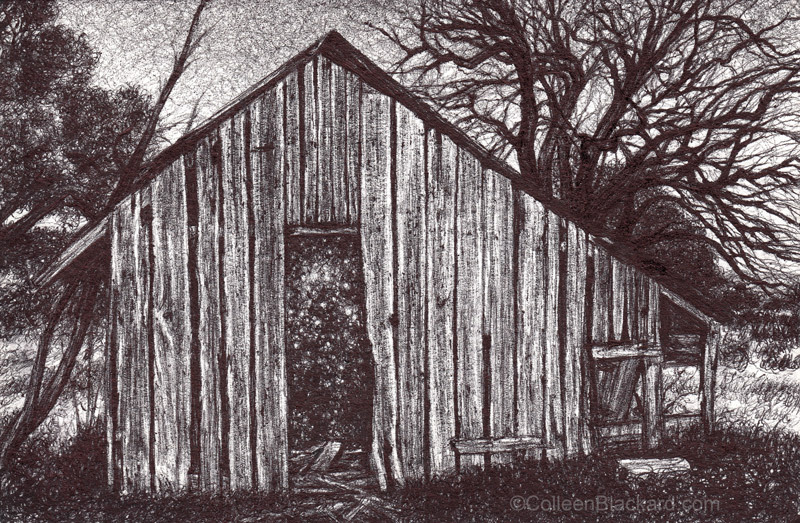 The “Abandoned Series” is about deepening our experiences to be in wonder at life. It takes the emotional struggles we go through in our human experience, like heartbreak and rejection, and uses them as opportunities to transform ourselves, to see the light in everything. It’s about loving ourselves, even the parts of us that are sometimes hard to accept. It’s about laughing at ourselves and finding freedom from the fears that have previously been running our lives. I’ve already created four of the 13 large drawings, three in marker and one in India ink wash. 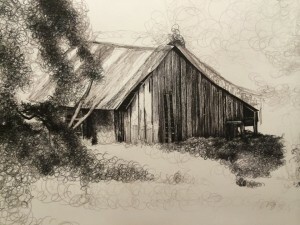 The first, called “Abandoned But Beautiful,” was drawn in marker circles and shows the barn decaying in the afternoon sun. 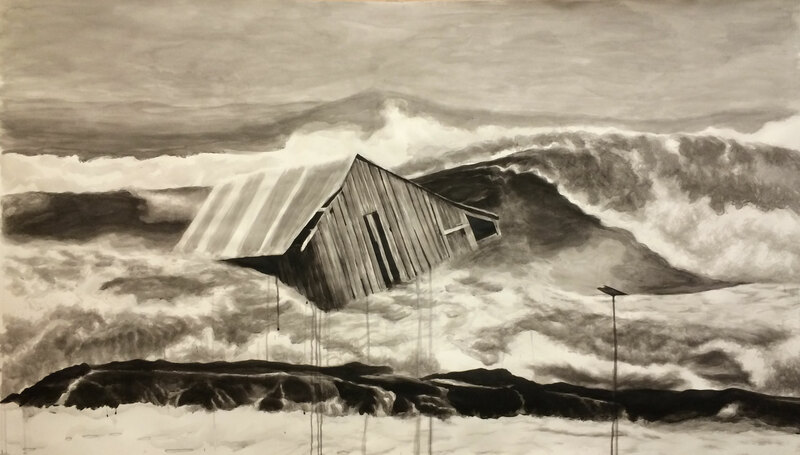 The second, called “Release,” was painted in India Ink and shows the barn being washed away in a hurricane. 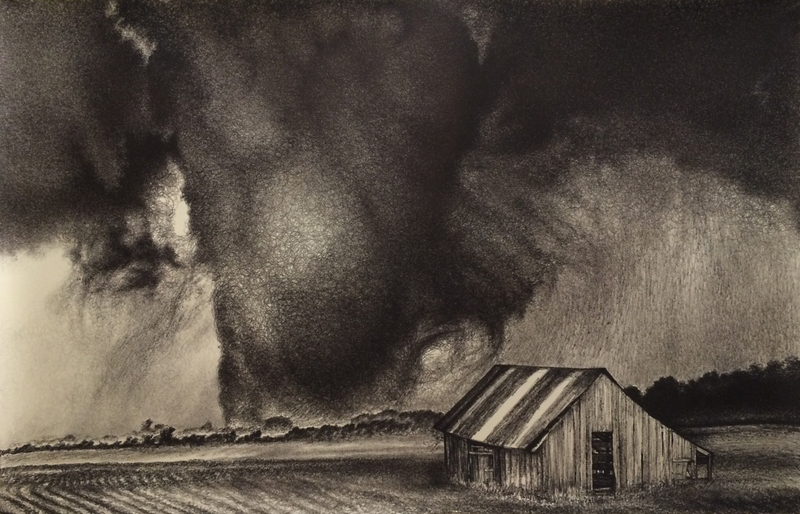 The third, called “Fate,” was drawn in marker circles and prominently features the barn directly in the path of a devastating tornado. 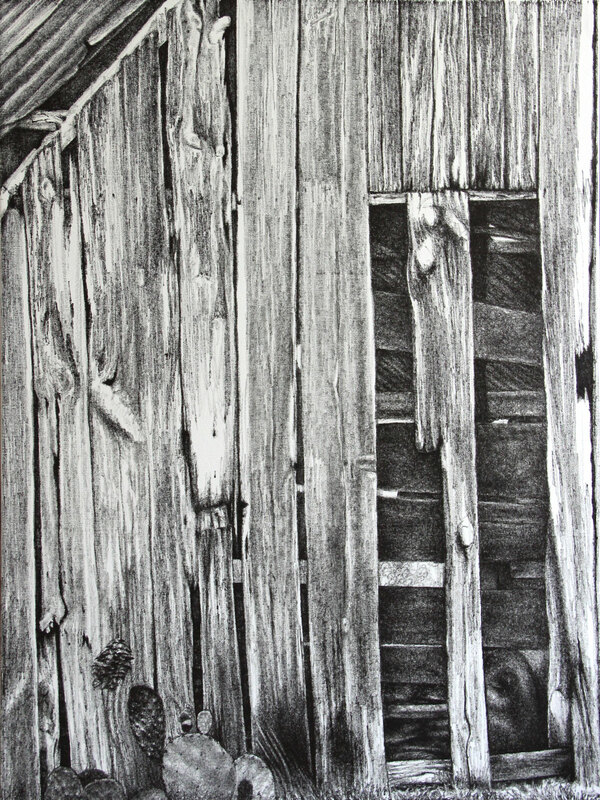 The fourth, called “Hold Me (Love Me),” was drawn in marker circles on canvas and focuses on the worn, decaying siding of the barn. It’s basically howling. This large scale requires me to let go of control and let the medium come alive. My work is already taking on a more expressive tone. Help these abandoned barns feel loved again! 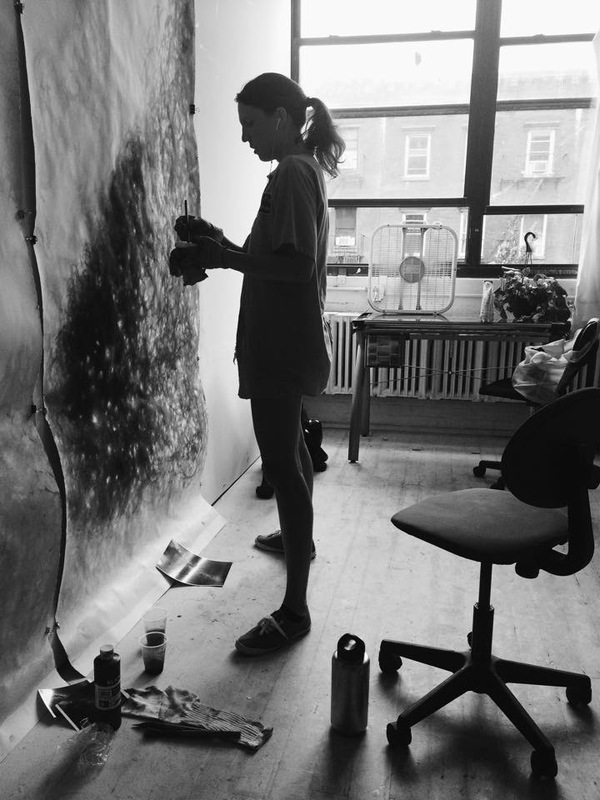 In my studio, “Abandoned But Beautiful,” elicited varying emotional responses from visitors who said they had never seen anything like it before. And in a large group show, “Release” stood out from across the room and attracted a crowd. 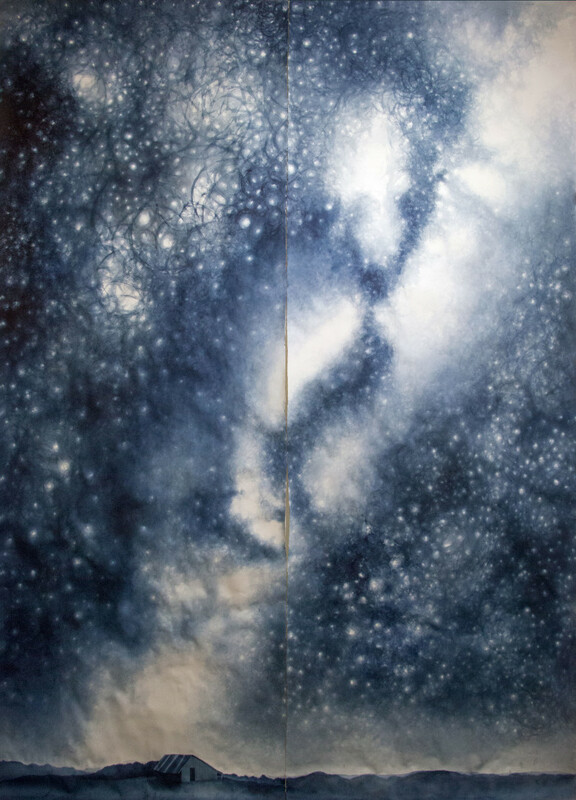 This body of work is meant to be experienced as a solo show in a large gallery space in Manhattan and other major cities, where it can be widely viewed and shared with new audiences worldwide. The reaction of my fans and collectors to preview showings of the three “Abandoned Series” drawings suggest that these will be even more well received. 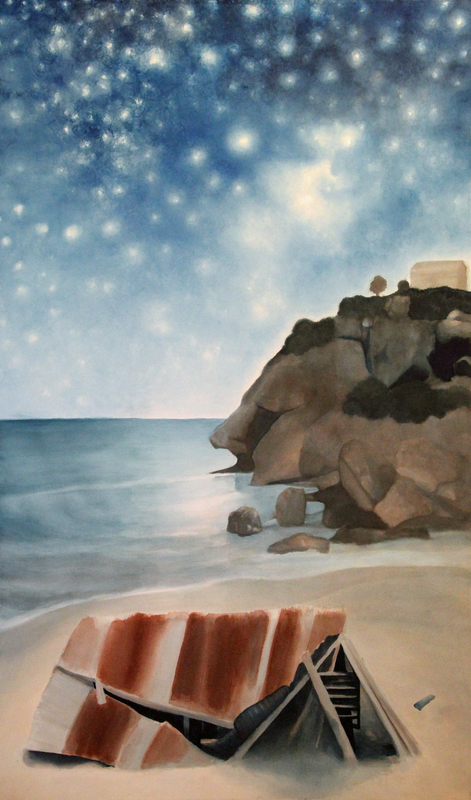 My intention in showing the “Abandoned Series” in a solo show in a large gallery is to surround viewers so they will get the sense they are walking into an exaggerated and slightly absurd landscape of their fears. Immersed, they can safely process their own feelings of abandonment and rejection, and come out the other side feeling validated, inspired, uplifted, and hopefully freed from their own chains. Any amount is appreciated, thank you for your support! Want to see new drawings in this exhibition sooner? Your support is gratefully accepted and deeply appreciated.